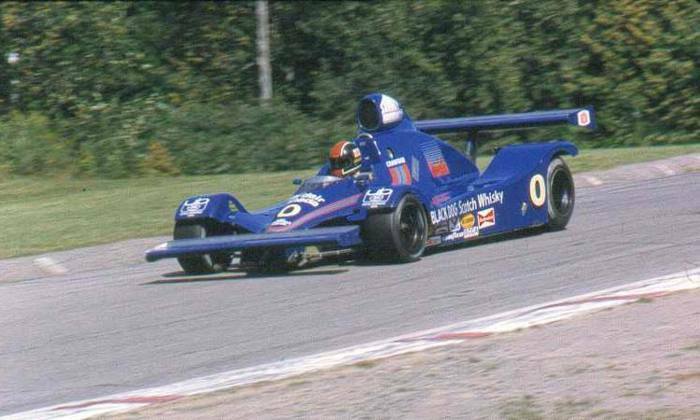 As driven by Jim Crawford and Michael Roe in the 1984 CanAm championship, the RK 847 finished a credible 2nd in its inaugural year of competition. 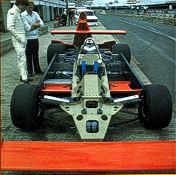 A major rebuild/restoration has just been completed to bring this car back to the way it looked in the June 1984 Autosport track test article, notably with the high mounted single plane front wing which was the trademark of this Chris Murphy designed race car. Our car is the only race ready RK 847 in the world today. Three RK 847’s were built and only two have survived. The 002 car received the slant nose bodywork and other modifications to compete in the U.K’s Thundersports series, and now collects dust in a private car collection in Belgium. As far as we know, 002 is not in running condition. Car 003 was destroyed in an accident during ’84 and its remains were kept for spare parts to keep 001 and 002 running. This is an extremely fast, reliable and exciting car to drive. It turns heads and attracts a crowd wherever it goes. • March 82C Indy car aluminum honeycomb monocoque. • March inboard rocker front suspension. • RK inboard rocker rear suspension. • KONI coil-over shock absorbers. • Lifeline onboard fire suppression system. • 5 liter Chevrolet small block. • Childs & Albert light weight steel crank and light weight connecting rods. • Isky camshaft, roller followers and rockers. • Weaver dry sump pump. • Quad Weber 48 IDA carburetors. • Hewland DGZ 5 speed transaxle. • Internal oil pump with Setrab oil cooler. • AP four piston calipers. • AP ventilated disc rotors. • Girling master cylinders with balance bar. • RK designed first generation 2 piece fiberglass bodywork with overhead intake scoop. • Aluminum front and rear single plane wings. • Set of body molds included in sale.